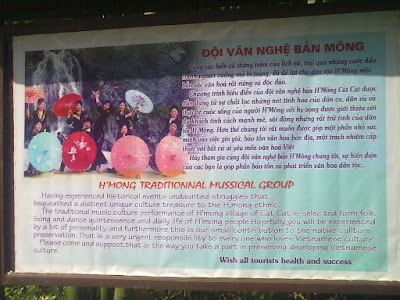 "Having experienced historical events undaunted struggles that bequeathed a distinct treasure to the H'Mong ethnic. 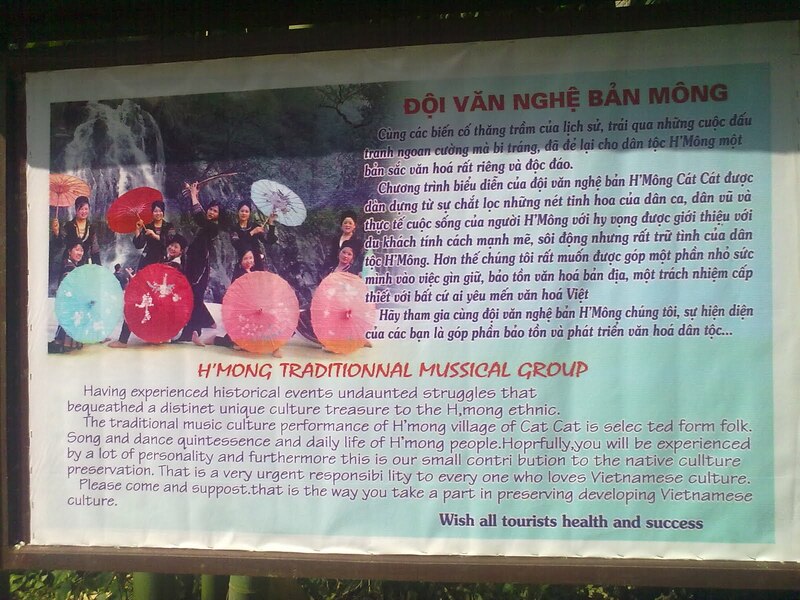 The traditional music culture performance of H'mong village of Cat Cat is selected from folk song and dance quint essense and daily life of H'Mong people. Hopefully, you will be experienced by a lot of personality and further more this is our small contribution to the native culture preservation. That is a very urgent responsibility to everyone who loves Vietnamese culture. Please come and support. That is the way you take part in preserving developing Vietnamese culture." The ticket is VND 30,000. That is less than USD$2. I would recommend seeing this performance. The performers are all very earnest. This sweet little performance has been very enjoyable and meaningful.